Various tones of beige are all the rage this season. Possibly not the easiest colour to wear as we get older. However, I do feel that there are ways that it can be incorporated into your wardrobe should you wish to. I bought this oversize mac about 2 years ago from Mango. I was not sure at first but I have come to like it. It is really easy to slip on if you are in a hurry. Yes that is my bike. 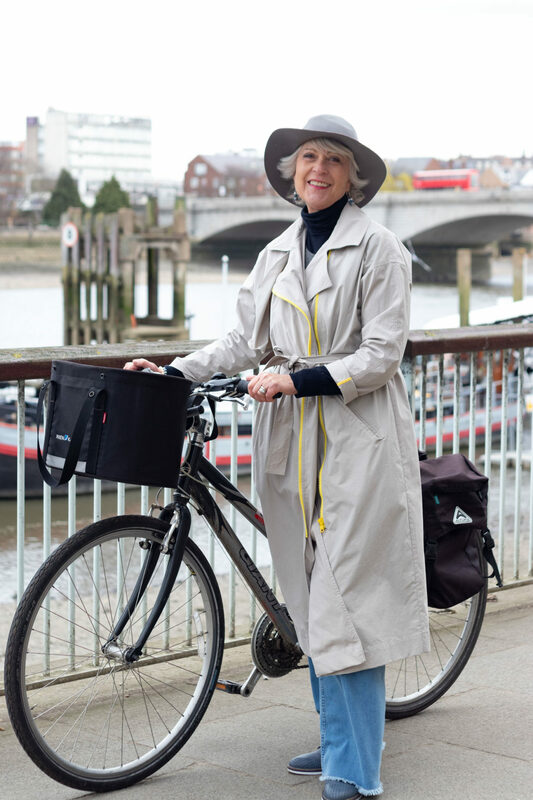 I ride it along the riverbank to my pilates class every Monday. and to the local village. Before you ask I do wear a high vis waistcoat but did not think it would look very chic in the photos. The benefit of beige is that you can team it with just about any colour and it will work. It is the ultimate neutral. Beige comes in various shades. Warm, cool (like the tone I am wearing) and neutral. It was so windy the day we took these photos I had to hold my hat on. Hello Joséphine , I live in the South of France, and at the moment, after a long spell of sunshine, it’s raining nearly every day. So your post on raincoats has arrived just at the right moment. 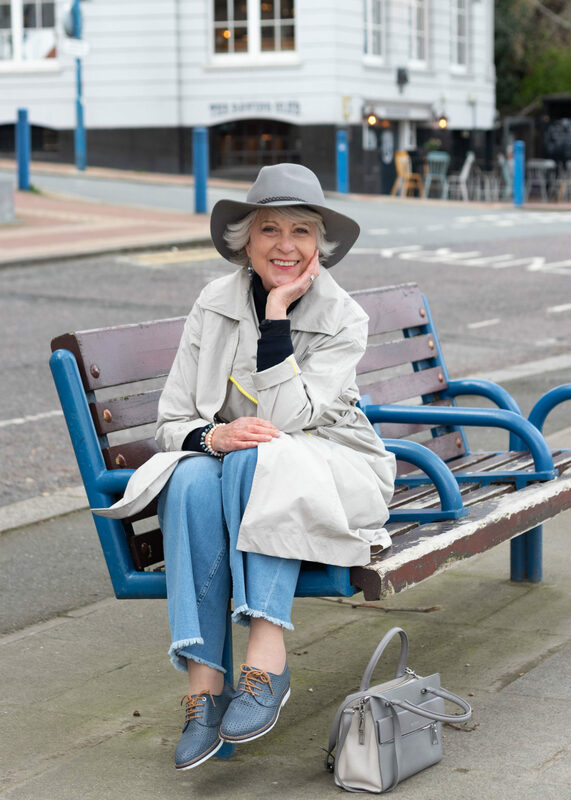 I have a lovely long beige raincoat which I always hesitate to wear because of my complexion, but as soon as I saw the link to your raincoat with white jeans and sneakers, and a bright-coloured bag, I knew I had found the solution. Thanks a lot, I don’t comment often, but I’m an avid reader of your blog. On se verra peut-être un jour à Aix !! I would call that color taupe due to its gray (cool) undertone. Taupe is one thing. Beige is another (yellowy). It’s not a color I can wear at all. 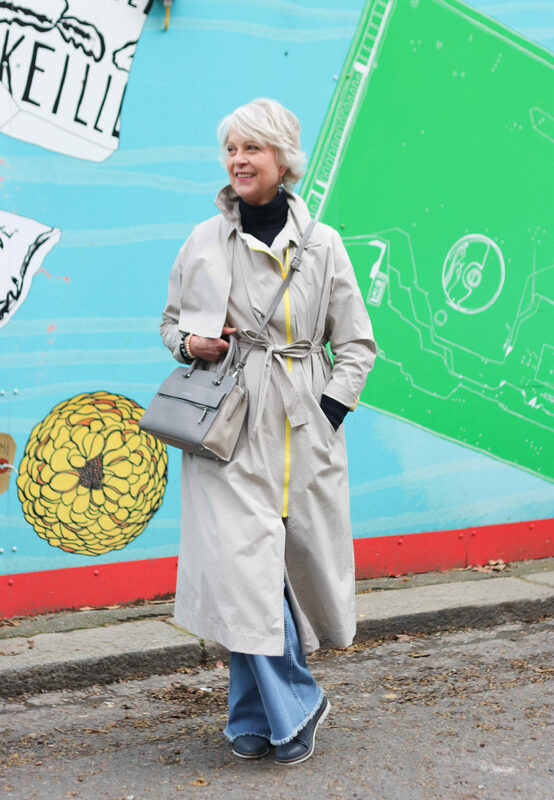 Even though it’s beige, that coat looks great on you Josephine as you are tall and slender with a small waist. Unfortunately, belts are not kind to ‘apples’ though it’s nice to see how you style your mac. Love the dark polo neck, handbag and specially the hat! Thank you for showing us how those extra touches can make all the difference. You can wear some of the looser style macs without a belt. I like beige. I wear it with navy, purple, dark green, black and red. Like the beige column with a splash of color. You look lovely, Josephine! Nice colour combinations I will try some of the ones you suggest.